The theory of cognitive-behavioral therapy suggests that psychological disorders are caused by a combination of an unhelpful dysfunctional thought process and by maladaptive behaviors motivated by that thought process. Because these dysfunctional thoughts and behaviors are learned, people with psychological disorders can also learn new, more adaptive skills that raise their mood and increase their ability to cope with daily symptomatology. Another basic idea behind cognitive-behavioral therapy is that if a person changes their thoughts and behavior, a positive change in mood will follow. The cognitive aspect of the therapy involves learning to identify distorted patterns of thinking and forming judgments. These maladaptive thought patterns are also known as negative or maladaptive schemas. One of the cognitive-behavioral therapists’ goal is to teach their patients to identify debate and then correct their irrational ideas. The disputing process involves teaching patients to systematically ask and answer a set of questions designed to draw out whether particular ideas have any basis. More specific, patients have to ask themselves if there is any evidence for this belief or what is the evidence against this belief or what is the worst that can happen if you give up this belief and what is the best that can happen. After some sessions, patients learn to monitor their own thoughts and perform the disputing process on their own outside of therapy. The behavioral aspect of cognitive-behavioral therapy involves replacing behaviors that are contributing to patients’ psychological disorders with healthier ones. Therapist determines whether patients’ behaviors are problematic of if they appear to have skill or coping deficits. Therapists then recommend alternative behaviors as appropriate and educate patients in missing skill sets. For example, participation in exercise, hobbies and social activities as well as regular use of breathing, relaxation or visual imagery techniques can help decrease symptomatology. Also, therapists may use other techniques including role-playing, risk-taking activities or assertiveness training in order to help patients to improve their psychological situation. On the other hand, patients have to complete specific homework throughout the course of therapy. Homework assignments generally consist of instructions to keep a log of thoughts, behaviors, and moods as well as written records of their efforts towards practicing cognitive restructuring exercises. Cognitive-behavioral therapy is offered in both individual and group sessions and in both outpatient settings. The therapy duration lasts for 25 sessions approximately; however, the therapy can be tailored to fit patients’ needs. Cognitive-behavioral therapy is a good fit for verbal, goal-oriented people who want short-term, symptom-focused strategies. The therapy requires that people commit to monitoring and practicing skills outside the therapy session. It is an active, structured, problem-focused, and time-limited approach to treatment which is based on the premise that the psychological disorder is maintained by negatively biased information processing and dysfunctional beliefs. Treatment is designed to help patients learn to think more adaptively and thereby experience improvements in affect, motivation, and behavior. Many patients show a remission of symptoms in 8-12 sessions. A full course of treatment is considered to be 18-21 sessions although severe cases can take longer. Maintenance of treatment gains is enhanced by occasional booster sessions during the first year after termination. Veneti V.. (2011). "Depression Disorder: The Cognitive-Behavioral Therapy". Copyright: LAP Lambert Academic Publishing AG & Co.
Vasiliki G. Venetis, Post MA studied BA Psychology and Education at Sheffield Hallam University and MA Clinical Psychology at University of Indianapolis. 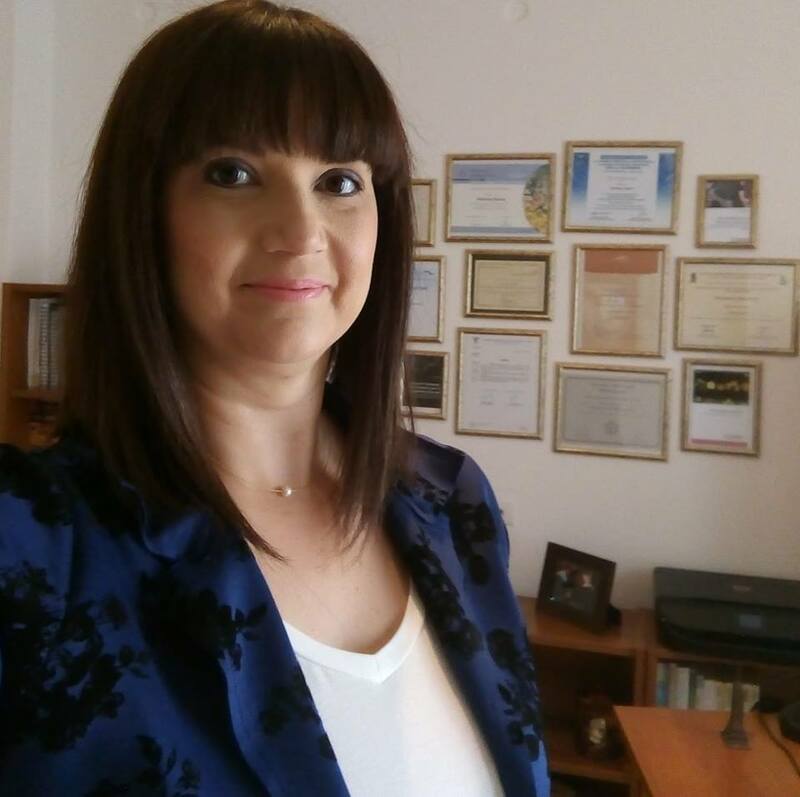 She is the Director of Veneti Counseling, Psychotherapeutic and Training Services Ltd in Cyprus and Scientific Director of Interdisciplinary Network for the Specialization of Mental Health Professionals® (Διεπιστημονικό Δίκτυο Εξειδίκευσης Επαγγελματιών Ψυχικής Υγείας®) Ελλάδα in Greece. She is a psychotherapist in private practice and has been involved in training cognitive-behavioral therapists for the past 9 years. In addition to supervising new mental health professionals, she has presented workshops, seminars, trainings, researches nationally and internationally on cognitive-behavioral therapy for psychological disorders. She is the author of numerous articles and reviews. Her books are "Personality Disorders: The Cognitive-Behavioral and Schema Therapy", Depression Disorder: The Cognitive-Behavioral Therapy", "The Behavioral Treatment of the Paranoid Type of Schizophrenia Disorder" and "The Development of the Phonemic Awareness: The Effect of Schooling, Age and Word Structure on the Phonemic Awareness of 63 to 102 Months Old Children"